Sometimes the belts and suspenders are verbiage, but belts and suspenders have a role in legal drafting, because sometimes you need them to make sure everyone knows what the parties to a contract have agreed to. Take the 1984 Agreement between Santa Monica and the Federal Aviation Administration (FAA) that settled litigation over Santa Monica Airport (SMO). The agreement stated clearly that the City could not close SMO until July 1, 2015. That was the “belt,” but the agreement didn’t say explicitly that on July 1, 2015, the City could close the airport (which would have been the “suspenders”). The belt held for 24 years, during which time both the City and the FAA knew (and acted accordingly) that the intent of the agreement was that the City could close SMO July 1, 2015. When, however, in 2008 the FAA decided to change its interpretation of the agreement, the missing suspenders gave the FAA cover to tell Santa Monica that though it couldn’t close SMO before July 1, 2015, it couldn’t do so afterwards either. Until last week, the City and the FAA were scheduled to go to trial in August to determine this issue. When in 2003 Santa Monica negotiated an increase in a 1994 grant from the FAA to build a blast wall at SMO, the intent of the parties was not to have the 2003 money extend the term of the 1994 agreement. The 2003 amendment to the 1994 agreement had a belt (a clause saying that nothing in the amendment altered any other provisions of the 1994 agreement, which presumably included the term), but not suspenders (an explicit mention that the new money would not extend the term). The FAA later ruled that the new money extended the term of the 1994 agreement, and until last week the City had that ruling on appeal in the Ninth Circuit. I bring up these examples of the perils of contract drafting because they provide the context for Santa Monica and the FAA’s most recent attempt to settle their differences over SMO: the settlement agreement they entered into last Saturday, which U.S. District Court Judge John F. Walter confirmed yesterday. That context is twofold: (1), that because of the lack of suspenders in the 1984 and 2003 agreements, instead of having closed the airport in 2015 the City was involved until last week in a multi-front series of court cases, which were expanding whack-a-mole style, and which would not be resolved for years (and possibly not ever successfully); and (2), because in reviewing the new agreement, based on past disappointments one wants to be sure the agreement has both belts and, where needed, suspenders. But wait, there’s more. Perhaps the most important provisions of the new settlement agreement are two provisions that are true suspenders. Why? Because they don’t add anything substantive to the agreement, but are crucial. Both relate to the FAA’s future actions. But the second provision about the FAA’s future action is even more important. This is Clause VIII.F, “Defense of this Agreement.” In it both parties agree to “vigorously and actively defend” the settlement and its terms “against any challenge by any individual or entity.” This means that if any aviation business contends that the settlement agreement is invalid, and that Santa Monica doesn’t have the right to close the airport (or exercise any of the other powers it has under the agreement), the FAA will take the City’s side. There’s a lot of angst, even anger, from anti-airport activists about the settlement agreement. Most of it arises understandably from disappointment that the City’s absolute right to close the airport has been delayed from July 1, 2015 to Jan. 1, 2029. I feel the same way: I’ll be 76 then and I’m not happy to wait that long. But the true causes of the wait are the suspenders missing from the 1984 and 2003 agreements, and the resulting litigation context, not this agreement. As I said in my post earlier in the week, the anti-airport, pro-park groups will need to continue to be active. The settlement agreement doesn’t end anything. Christian Fry of the Santa Monica Airport Association told a KPCC radio audience that he feels hopeful that the settlement agreement will result in the preservation of the airport, because by reducing its size, it will be more acceptable to residents. So nothing is over. Expect another initiative, Measure D.2. La luta continua. Moreover, the City wasn’t going to be able to close the airport for years, or even reduce air traffic; now it’s as if the City won the Class C&D litigation, the City has a clear path to taking over FBO services, and true, it’s 12 years away, but we have a firm, outside date to close SMO and reason to believe that date can be accelerated. Finally, Santa Monica faced years of litigation, litigation it might lose, or which a new council might abandon. Aggressive new challengers like JetSuiteX were popping up all over, but now the City has the advantage. How can the settlement agreement not be a victory? 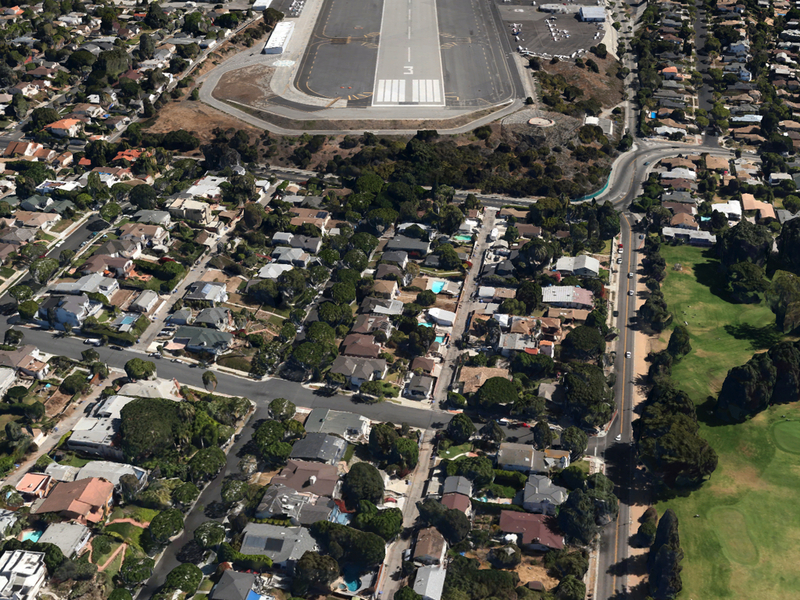 This entry was posted in Uncategorized and tagged Santa Monica Airport by Frank Gruber. Bookmark the permalink. I believe the city council has got it all wrong. For 20 years residents have worked hard to advise the city on their concerns regarding their health and safety. To stop the influx of jets, the short and dangerous runway, the increase in late night flights and flight schools, the sale of leaded fuel, the deceptive sub letting at a huge profit, the multitude of private jets companies, and on and on and on. The city has failed to protect the residents once again. The 12 long years is just another tactic by city council to pretend they are actually helping the people they represent. Yes, most of us will be too old, if not dead from the toxic adverse effects of the airport. I believe this action was done in a mean spirited and under handed way. We deserve better from the city of Santa Monica. Just to make sure SMO closes: 1) We must make the closing of SMO a #1 priority in any upcoming City Council election for years to come. 2) We must work hard to maintain a COMMUNITY UNITY with everyone wanting SMO closed. 3) We must seek tighter legal “suspenders” and a SMO closing date much sooner than 2028. 4) We must work to maintain a close unity with L.A. and Santa Monica elected officials who are supporting SMO closure. 5) We must continue to plan NOW for the much-needed park. Our generation of Santa Monica residents who participated and voted to make this happen will be too old to fully benefit from the long struggle to close the airport and put it to better use as a grand park in today’s dense urban environment. The ultimate benefit of this park will accrue to future generations to enjoy its trees, grass, swing-sets, and cultural amenities, not to mention fresh air, quiet skies, a return of Nature to Nature’s space. Future generations will owe this generation a huge debt of gratitude. I hope they realize what it cost this generation in effort, and more importantly in the sacrifice of their own lost time, to make this happen. Congratulations and thanks to to the current residents of this city and to the City of Santa Monica staff who worked tirelessly to make this brighter future happen for all the others to come. According to several people who actually participated in the writing of the1984 agreement, it was never about closing the airport. That’s why it didn’t contain language about closing. It was a 30 year agreement between all the concerned parties detailing how the airport would be run during that time. It’s intent was to stop some of the bickering. Near the end of the agreement, the concerned parties were supposed to reconvene and hash out another agreement to cover some period of time (20 years? 30 years?) and account for how the neighbors and the airport had evolved and what was needed to make them compatible in the future years. In the same vein, the current agreement isn’t about absolutely closing SMO in 2029. It opens up the possibility but is not absolute. In the next 12 years, aviation will change radically. Leaded avgas will be a distant memory – not that it has ever been the danger some would have us believe. Jet fuel will become greener as plant based supplies become more available and jets will become quieter and more efficient. Many small planes including many trainers will be electric with no pollution and vastly reduced noise footprint. With nearly 1500 feet of runway to make into safety zones, the City will hopefully take the opportunity to introduce EMAS (crushable concrete) at the Western end of the runway to protect the neighbors from the almost infinitesimal chance of an overrun (as they should have years ago but, at the behest of a neighborhood group leader, let politics trump safety). All these things and many that no one has envisioned will reduce the impact of the airport on the neighborhood. Over 500 Santa Monicans (mostly from the zip code next to SMO) had bought tickets on JetsuiteX flights. Long before 2028, it will be a common choice for short range flights to be taken from our neighborhood airport. We’ll just have to wait and see how the voters feel about losing SMO as 2028 approaches.